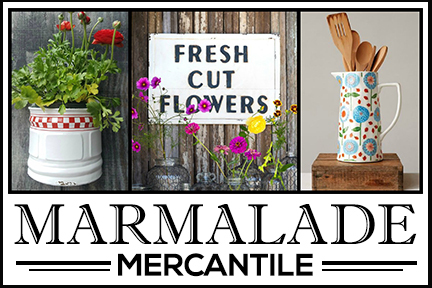 Farmhouse style is hugely popular right now but you don’t need an old farmhouse to add this type of decor to your home. 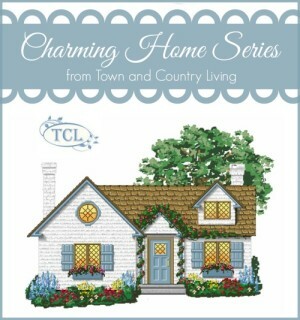 In fact, I’ve seen a lot of contemporary suburban homes made over into farmhouse style. But it’s always a special treat when you find a true farmhouse decorated for today’s busy lifestyles. And that’s the type of home we’re touring today … Grace Lee Cottage. 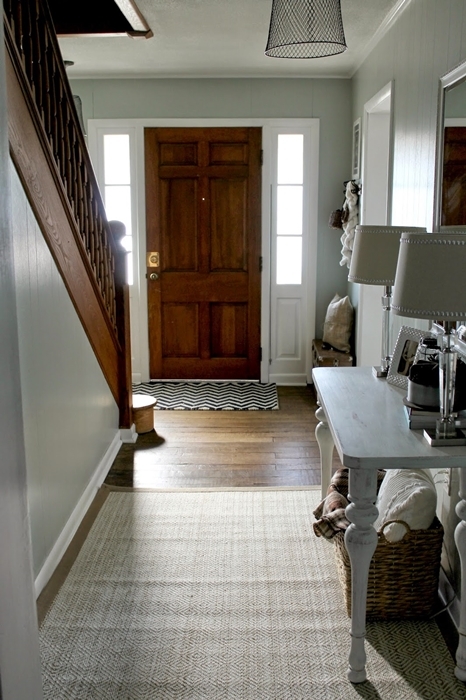 Leah lives on a farm and is updating their beautiful farmhouse. 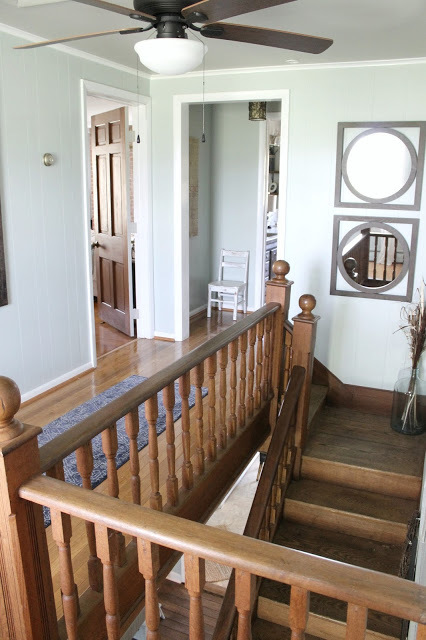 Step into the foyer of Leah’s home and you’re greeted by gleaming hardwood floors and a gorgeous staircase. 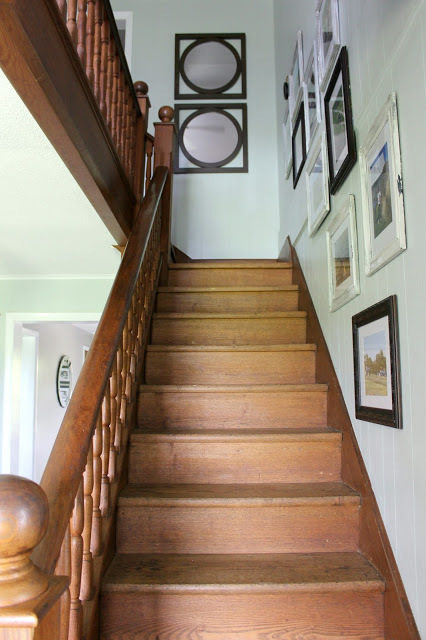 I’ve always had a thing for beautiful, wooden staircases. I’ve never had one that I truly love, like this one in Leah’s home. I prefer staircases without carpeting and appreciate when someone removes the carpeting. The top of the stairs is equally gorgeous! 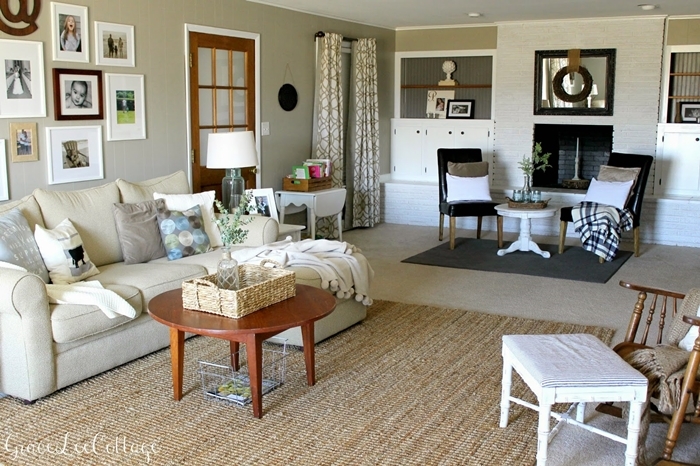 Leah’s style is comfortable and pretty, and her home proves you can enjoy whites and neutrals when you live on a farm. On the far wall of her living room, the brick fireplace is painted white on the outside, and black on the inside. A nubby rug is layered atop the carpeting. Leah shows that you don’t need wooden floors to enjoy beautiful rugs. 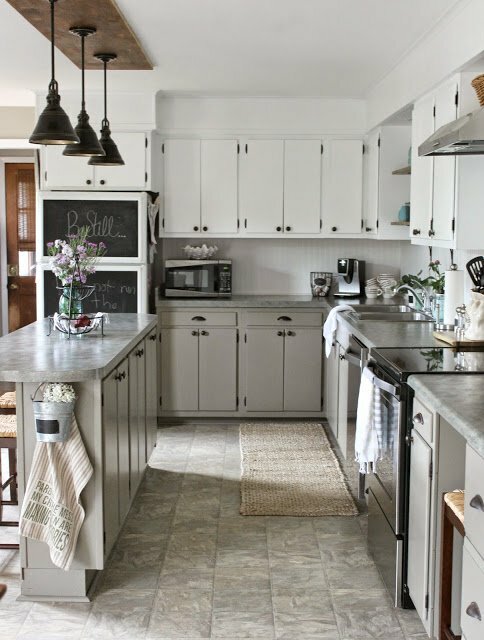 Leah’s farmhouse kitchen is both functional and beautiful. 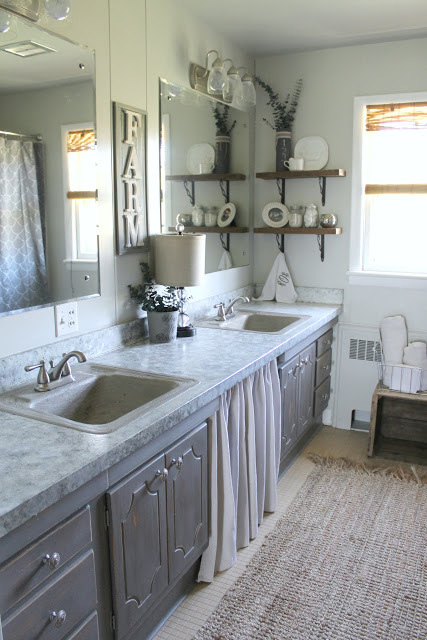 She’s done a lot of work in this space, painting cabinets, adding new counter tops and more. A chalkboard wall creates a handy space for writing notes to the family. 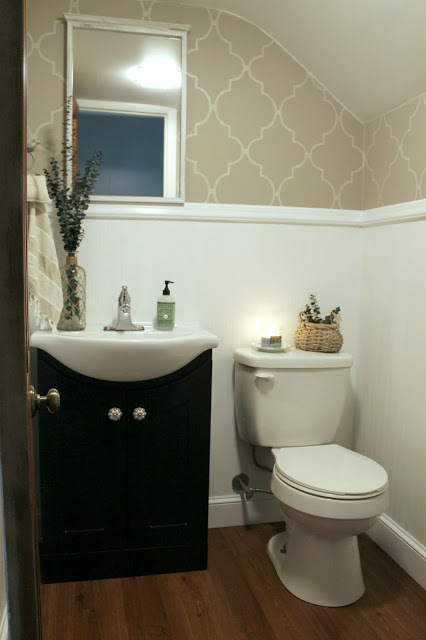 Pretty wallpaper graces the upper half of the walls in the home’s powder room. The shape of the sink front mimics the curves of the wallpaper pattern. A clever design trick is to repeat patterns in a room. It ties the entire room together. 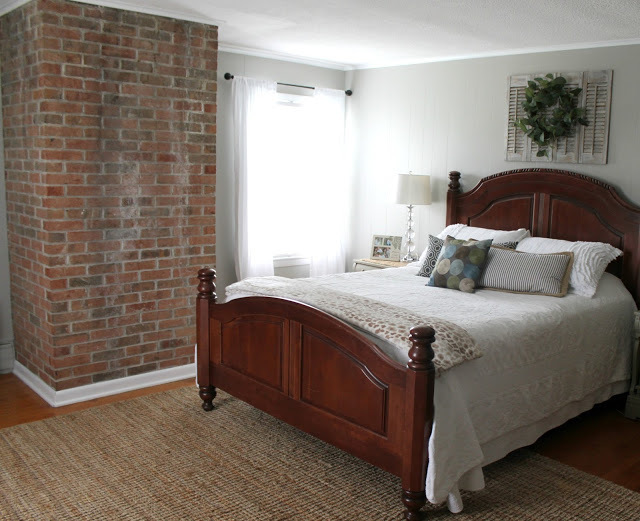 I don’t know what’s prettier in Leah’s master bedroom … the gorgeous bed or that lovely exposed brick wall! 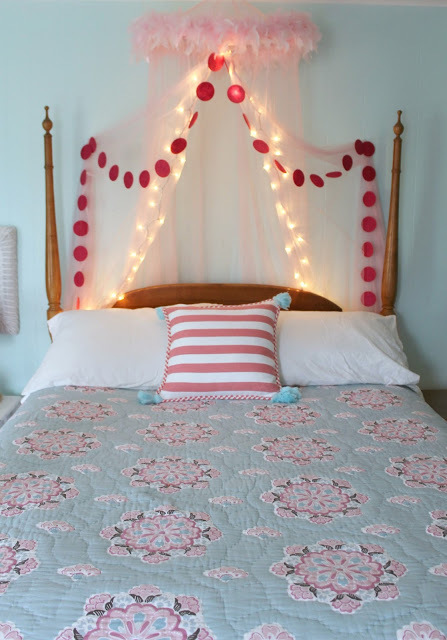 Pretty pink and blue take center stage on the bed in Leah’s daughter room. I love the pattern of the quilt and the complementary geometric pattern on the pillow and draping above the bed. 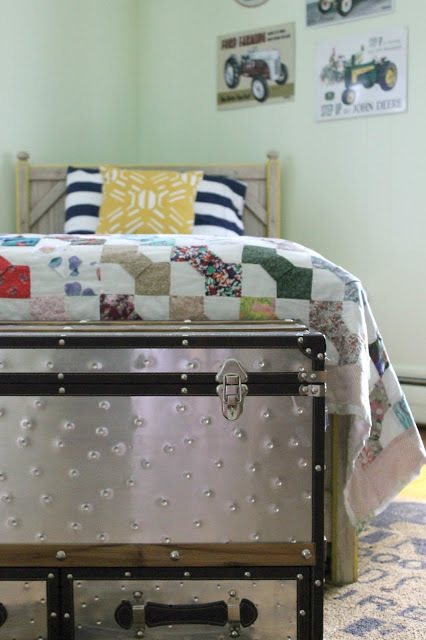 A galvanized trunk in her son’s room provides extra storage at the foot of the bed. I love that Leah incorporated a homemade quilt. 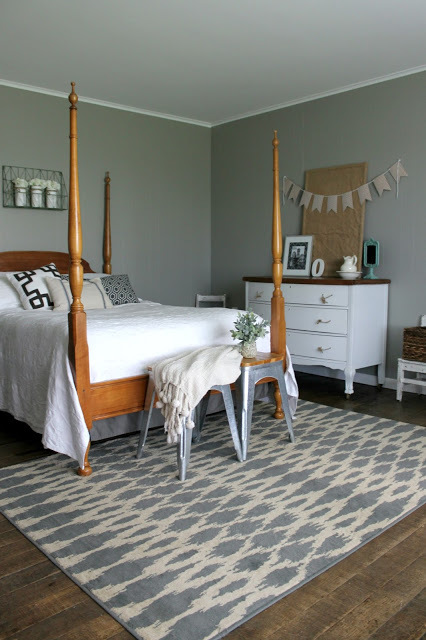 Leah’s guest bedroom wears wooden floors and accents of white. The 4-poster bed takes center stage. Leah gave her spacious bathroom a makeover. You’ll want to be sure to visit her blog to see all the amazing transformations she’s accomplished. 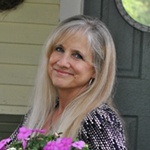 When you visit Leah at Grace Lee Cottage, you’ll also learn a little about farm life. They enjoy baby lambs and have fun wrapping hay. I’ve seen these rolls in farm fields around Illinois and wondered how and why the farmers do this. I think they look so picturesque. 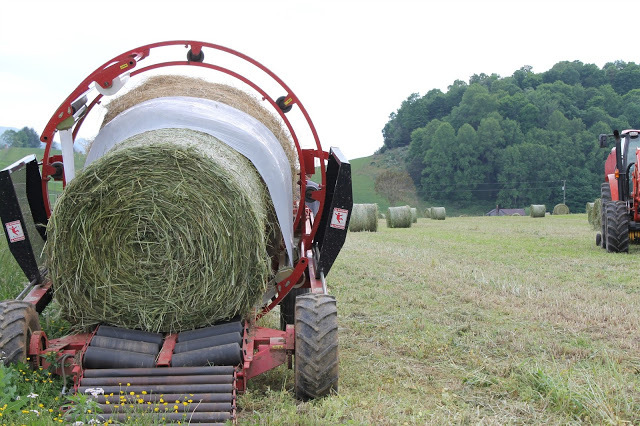 Thanks to Leah, I learned that wrapping the hay enhances the nutrients. 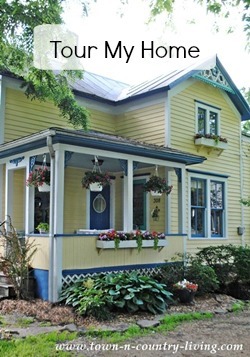 See more about Leah’s home and farm at Grace Lee Cottage. This is a lovely cottage. 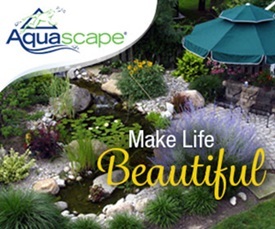 We can all take some of these ideas and use them in our own homes. Thanks for the tour of this lovely cottage. The flooring in this cottage is amazing. I own a carpet and flooring store and would be interested in who did this for them. Very impressed. Keep up the good work. Looks lovely. I love the mixtures of furniture and pieces I like a home that has a look of being lived in over time.